1. 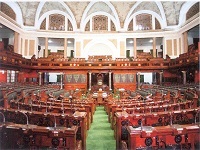 The work done by the Parliament in modern times is not only varied and complex in nature, but also considerable in volume. The time at its disposal is limited. It cannot, therefore, give close consideration to all the legislative and other matters that come up before it. 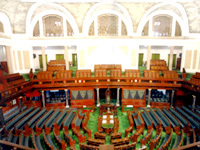 A good deal of its business is, therefore, transacted in Committees of the House, known as Parliamentary Committees. 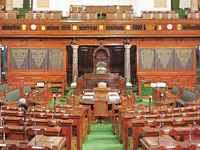 Parliamentary Committee means a Committee which is appointed or elected by the House or nominated by the Speaker and which works under the direction of the Speaker and presents its report to the House or to the Speaker and the Secretariat for which is provided by the Lok Sabha Secretariat. 2. By their nature, Parliamentary Committees are of two kinds: Standing Committees and Ad hoc Committees. 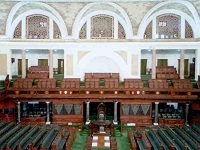 Standing Committees are permanent and regular committees which are constituted from time to time in pursuance of the provisions of an Act of Parliament or Rules of Procedure and Conduct of Business in Lok Sabha. The work of these Committees is of continuous nature. 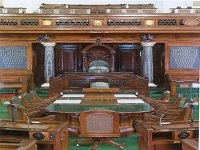 The Financial Committees, DRSCs and some other Committees come under the category of Standing Committees. Ad hoc Committees are appointed for a specific purpose and they cease to exist when they finish the task assigned to them and submit a report. 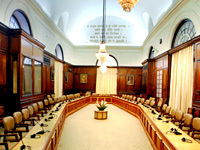 The principal Ad hoc Committees are the Select and Joint Committees on Bills. 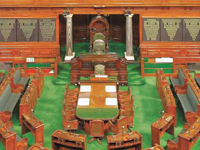 Railway Convention Committee, Joint Committee on Food Management in Parliament House Complex etc also come under the category of ad hoc Committees.